Would you believe that you could throw an egg across the room without breaking it? Burn a candle underwater? We Dare You! 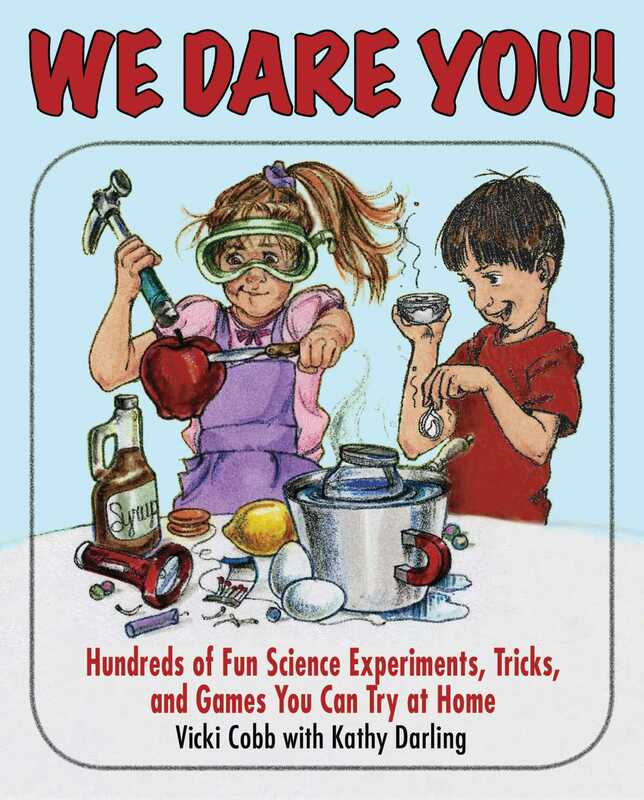 is a gigantic collection of irresistible, easy-to-perform science experiments, tricks, bets, and games kids can do at home with everyday household objects. Thanks to the principles of gravity, mechanics, fluids, logic, geometry, energy, and perception, kids will find countless hours of fun with the selections included in this book.